Who needs the Avengers anymore? 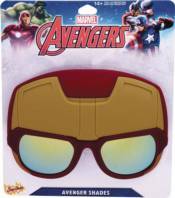 Fight the war against villainy in these sunstaches sunglasses! Choose from Captain America, the Hulk, Iron Man, or Thor. One size fits most.